Our Custom Fences Maximizes Both Form and Function of Your Landscape. The solid construction of privacy fences form a visual and sound barrier around your garden landscape, but also blocks the airflow. A semi-privacy custom fence also blocks sights and sounds, but air can flow through some narrow gaps in the fence. Both privacy and semi-privacy fences are usually constructed of vinyl or wood and can be topped with lattice screens for added interest. 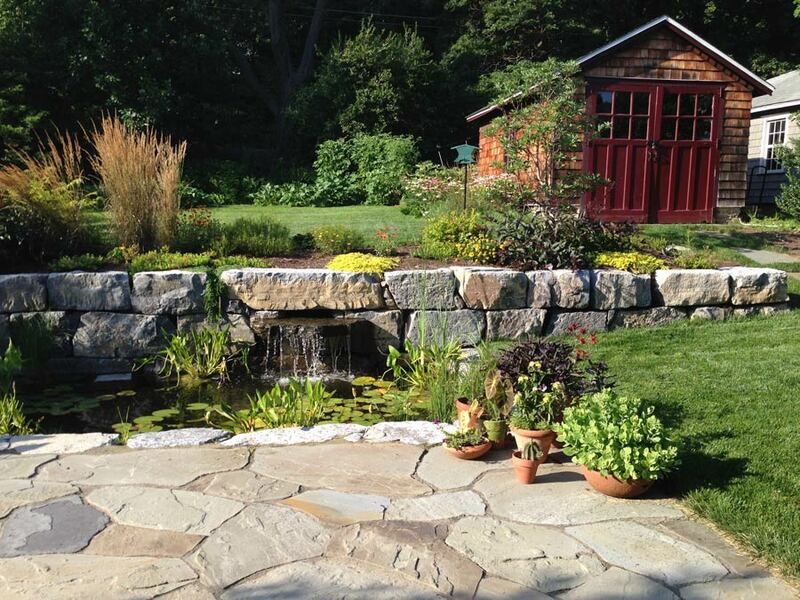 Cider Mill Landscape’s certified designers can help your choose from decorative fence of vinyl, wood or metal. The short, open design of a vinyl or wood picket fence suits a cottage or colonial style landscapes and homes. While post and rail fences are better matched to log cabins or rustic style houses. Metal fences of aluminum, galvanized steel or wrought iron can vary from simple bars with spear points to ornate scrolled designs. Simple metal fences go well with modern landscapes and houses, while the more ornate styles suit colonial or cottage landscapes and houses.